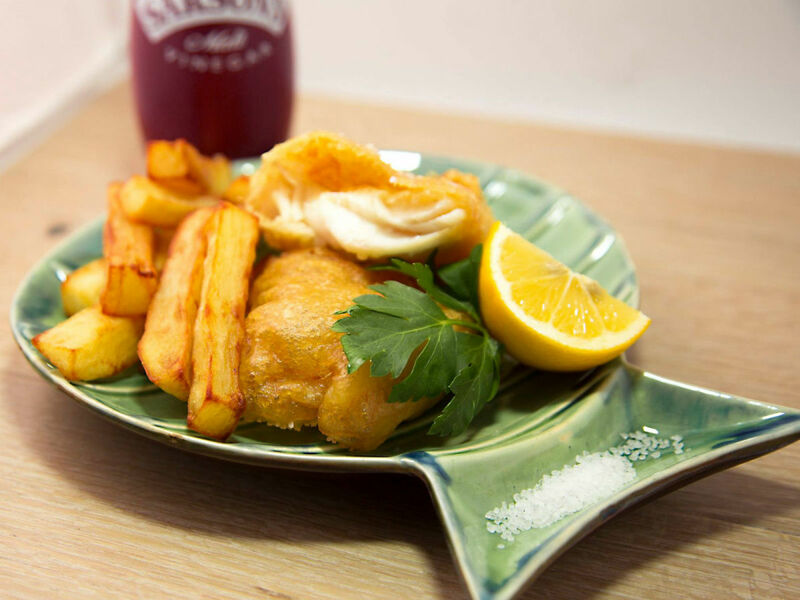 Fish and chips is a universally popular dish, with entire restaurants dedicated to it in England. And yet nowhere in DFW is there a fish and chips place. There are pubs with fish and chips, and seafood restaurants with fish and chips. Now comes a restaurant where fish and chips will rule. Called Fish & Fizz, it's from an actual native of England, chef Nick Barclay and his Dallas native wife, Kelli, for whom this is a return to the Dallas dining world; they once had a restaurant here before going to England to run an inn by the sea. The couple returned and now will open F&F at 400 North Coit Rd. in Richardson in the spring. It'll have fish and chips plus daily specials, English dishes like bangers and mash and Cornish pasties. The fizz part refers to beverages, all of which will sparkle, including Champagne, sparkling wines, Prosecco, craft beer, and soft drinks. "I know how to make authentic British fish and chips," Barclay says. "We'll use cod and seafood that's Marine Stewardship Certified, which is sourced and sustainably caught. For the batter, I've got my own specific recipe that's light but with a nice golden brown crunch, and the chips will be a little fatter than what you get here in town. We'll do it as authentically as possible, with all the traditional sides like curry sauce and pickled eggs and proper malt vinegar with Cornish sea salt." The space they took used to be a restaurant called Pelican House and then Alligator Cove, which they've given a seaside feel with beach huts and what he describes as a "fine-casual" format. "It's a hybrid of fine dining and fast casual, with the chef edge that comes from our years of experience," he says. Sitting in front will be an old-school nostalgic London black taxi, as a marker to all of the British that lies within. "Call us crazy, but we said let's have one more go at this," Barclay says.